Simple to use, works well, and well priced. Ideal for the elderly. May be a little too small for some - take note of the dimensions. 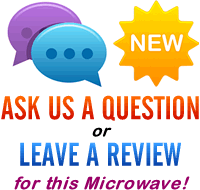 After a simple to use solo white microwave? The Sanyo EM-S105AW could fit the bill - with just two dials, it's exceptionally easy to use. With an overall capacity of 17 litres, it's not the biggest microwave - however it will suit those who just need a reliable method of heating and cooking small dishes. With a 700w power output divided up into 6 power levels, it also features a handy manual defrost system. Externally it measures 45.2 x 26.2 x 33.2 cm, with a 17 litre interior measuring 31.5 x 21 x 27.9 cm with a painted cavity finish. Overall weight is 10.5kg, including the removable glass turntable. With a typical retail price of around £50, this microwave offers very good value - and will be ideal for the elderly or any other people who require a simple method of heating food. It may be simple in design, but it works well and should be reliable. 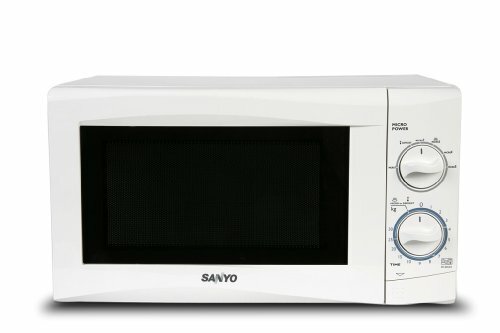 Overall the Sanyo EM-S105AW is best suited to those who need a simple yet reliable method of heating small dishes. It'll probably be too small for larger families, but the easy controls means it will be ideal for the elderly.